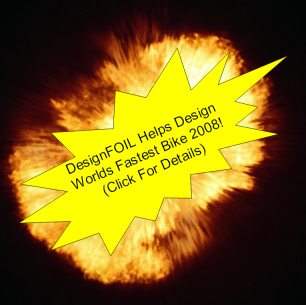 Evaluate DesignFOIL FREE for five days! Get the demo here. 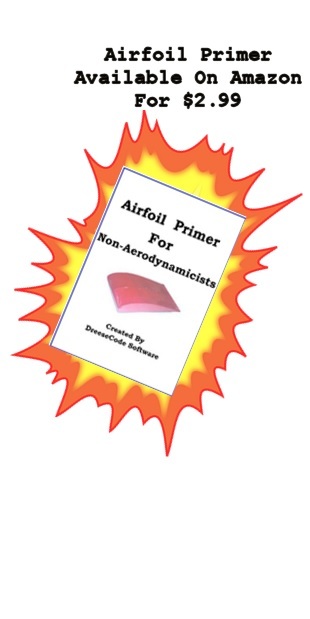 Run an airfoil analysis in just two minutes? Check out the video. Over 900 site installations, including NOAA, Tamiya and Disney Imagineering. Continuous improvement since 1996, adding new features suggested by users. Generates NACA airfoil coordinates with a mouse-click. Runs airfoils through a Virtual Wind Tunnel. Export airfoil coordinates to favorite formats. 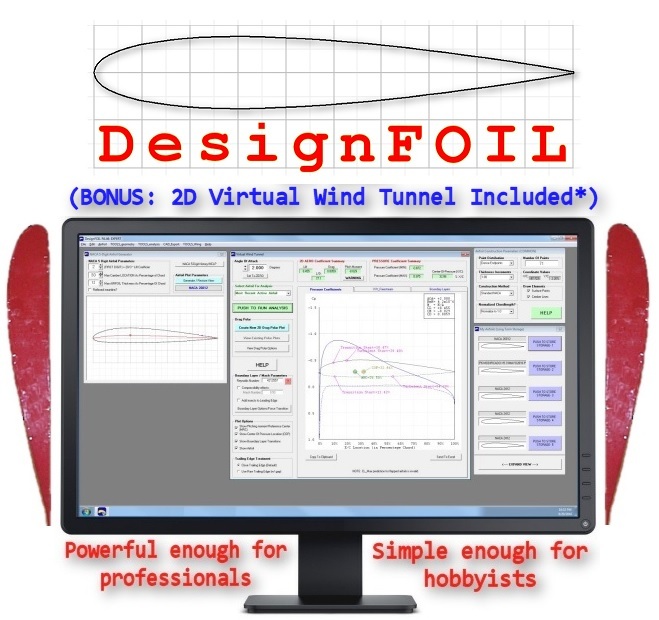 Export airfoil shapes directly to popular 3D CAD programs. Send all data directly to Excel. Import airfoil coordinate files (.dat & .dxf). Import coordinates from DXF files. New MyAirfoils window saves your work from session to session. New WingCrafter lets you do wing layout analysis and exports to CAD. Send airfoil and wing geometries to Gridgen, Pointwise and CMARC. Camber modification tool & simple flap simulator. In-depth help file with aerodynamics and airfoil primers. Workflow pattern optimized to save you time. All NACA standard airfoil coordinate generators. Drag polar display: Classic NACA & Eppler formats. Download and try out the demo for yourself. It's FREE! CMARC is a Trademark of AeroLogic, Inc.